If you are looking to entertain important clients and guests at one of the highlights of the British summer, look no further than our fabulous Henley Regatta hospitality packages. Held on the river banks at Henley-on-Thames since 1839, Henley Royal Regatta provides visitors with a stunning sporting spectacle combined with a beautiful social setting for entertaining your important clients and guests. Quintessentially British, Henley Regatta tickets and hospitality packages allow you to enjoy this superb event in unrivalled VIP style. If you can’t wait to get a dose of Henley now, head over to the Henley Royal Regatta News page, and have a read through our blog posts and extra information there. 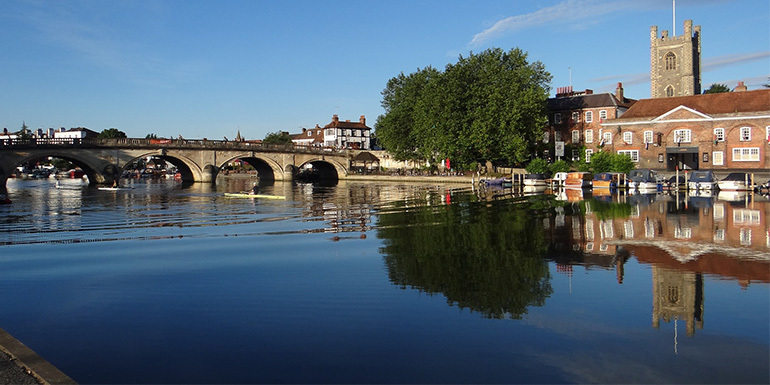 Wednesday 3rd – Sunday 7th July 2019 Henley Regatta is a world-renowned rowing event held on the River Thames. Originating in 1839, it is widely regarded as one of the social season's highlight events alongside other firm favourites such as Royal Ascot. With many fantastic Henley Regatta hospitality packages on offer, we will ensure you have a wonderful experience with your important clients and guests. Every July, the beautiful Henley-on-Thames hosts the most well-known regatta in the world. The Oxfordshire village transforms into a vibrant, rural city to celebrate the best of British. From the rowing to the social scene, Henley Regatta is full of life and vibrance. Regular guests at Henley Regatta love the panache and buzz surrounding the event. It’s every bit as traditional as it is fashionable, a beautiful blend of old and new. Henley Royal Regatta has been a long-time staple of the English social season. Boasting excellent hospitality enclosures, Henley Royal Regatta fills itself with the finer things. From the countless bars down the length of the course, champagne flows as fast as the river. Complimentary drinks and cocktail bars are the standard for many enclosures at Henley Regatta. In the evenings, the riverside activities give way to bustling afterparties and nightlife. Each event and enclosure will have it’s own dress codes. The races have a traditional knock-out format. Crews go head-to-head over the course of 1 mile and 550 yards (a little bit over 2.1km), and keep going until a winner is found! Racing crews from the world over attend the event, giving it an international feel. This year, Henley Royal Regatta will be held from Wednesday 3rd July to Sunday 7th July 2019. The event has always been in July, and experiences some of the best of British weather most years, with excellent surroundings to soak up sunny weather, but also many indoor areas and marquees to keep in the shade if it’s a bit too much. The most prestigious event is Sunday’s main event: the Grand Challenge Cup. Held for men’s eights, Henley Stewards have awarded it every year since 1839, making it the oldest event of the five days. Past winners of the Grand Challenge cup have come from places as far as the United States and Russia. 2018’s winner was an Australian team, and before that was a crew from Germany. The event finds it origins in a public Henley Town Hall meeting from March 1939. The locals agreed with Captain Edmund Gardiner that the event would be beneficial. They realised not only the benefits to rowers wishing to use the ideal stretch of water, but also to the town. A few months after conception, the first Henley Regatta happened one day in the Summer of 1839. The event was successful and popular, with the Stewards making Henley Regatta two days come 1840. In 1886 the event had become three days, and four by 1906. Around that time, international teams had become fairly common. In 1906 the Belgian Royal Club had become the first non-English team to win the Grand Challenge Cup. Henley’s ‘Royal’ moniker first dates to 1851, when Prince Albert patronised the event. Since Albert’s death, every reigning monarch has agreed to take up patronage of Henley Regatta, and keep it ‘Royal’. These days, a self-electing body of Henley Stewards organise and run the Regatta. Stewards take pride knowing their structure influenced that of the International Olympic Committee. Once banned groups are now not only permitted, but encouraged to partake at Henley Regatta. In days gone by, Henley Stewards banned women, professionals, and foreigners from entering. This is has changed now, with races for women being a major part of the five day event. In those days, the Stewards banned anyone who was (or had been) a ‘labourer’ or manual worker from entering. They considered the extra strength gained an unfair advantage, and classed them as professionals. They famously barred one man from entering as he had been an apprentice bricklayer. He ended up being future Olympic champion John B Kelly, Sr.
Stewards removed references to manual labourers, mechanics, artisans and ‘menial’ workers in 1937. This opened up the competition to many more competitors. Only recently was the event fully opened. In the late 1990’s all ‘anti-professional’ rules were abandoned.” The event hasn’t changed much since, allowing professionals was the last major change. The modern, open Regatta draws bigger crowds than ever before to Henley-on-Thames. There are a great many viewing spots along the Henley Regatta course’s length. Both sides of the river boast great locations from which to view the race. The opportunities vary depending on which side of the river you’re on. From the towpath side of the river, there are a great many private residences, but also a few public and corporate areas. For the vast majority of people, the Berkshire side of the river is better. More hospitality areas are on this side, and these also provide great viewing. Many areas show much of the water, some even providing an end-to-end view of the Henley Regatta course. Alongside the race course, the Henley Stewards make sure to keep a channel open for other boats. This allows river traffic to continue to flow, but is also used for moorings, which are restricted. The waiting list for the exclusive Stewards Enclosure is several years long. It has been growing since the 1970’s when it first started to sell out when organisers placed a 5000 person cap on it. This enclosure also has one of the strictest dress codes. It is only eased up at the discretion of the Stewards in cases of extreme weather conditions. It requires men to wear a lounge suit or evening dress, always with a tie, and to keep their jacket on at all times. Women must wear dresses or skirts which cover the knee in most Henley Regatta enclosures. Children’s dress codes tend to be a little more lenient, but always check with the enclosure provider. Located near the middle of the course is the Boaters Enclosure – one of the most fashionable enclosures at Henley Regatta. It features a private marquee table and garden seating, complimentary bar and champage reception, fine dining and many other comforts. Prize giving for Henley Regatta races takes place on Sunday evening, after all races are over. Most enclosures and clubs require that dress codes are adhered to until after tprize giving. Competitors gain free access to a few areas, if you’re competing, it’s worth checking this out. 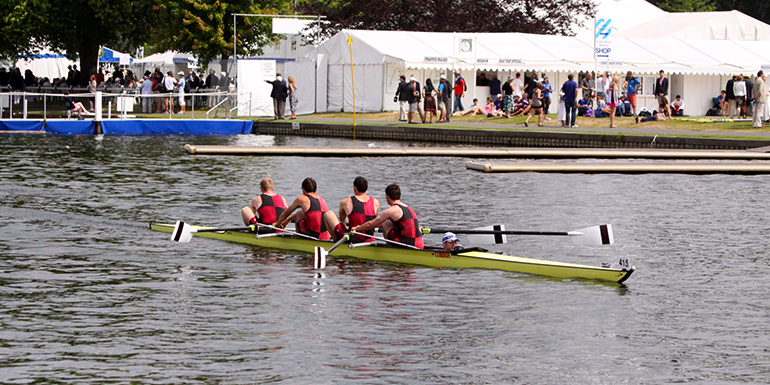 Competitors over history have raced four different courses at Henley Regatta. Small variations in length and width of the course were the reasons for this. In 1924 Henley Regatta organisers removed large parts of land to allow for the modern day course we know today. Henley Regatta is steeped in tradition. One of the traditional aspects to it is the high quality of hospitality available for guests. Each corporate hospitality area is filled with the finer things in life to ensure you and your guests have an incredible time at Henley Regatta. 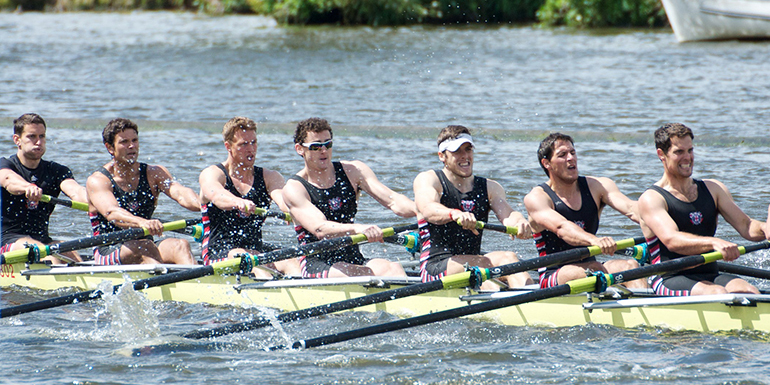 To view what’s on offer, head over to Henley Regatta Tickets and Hospitality. Do you have questions about Henley Royal Regatta? Because we have some answers. Find out all you need to know about the event in this quick blog post. Have a quick read through this handy guide to Henley Royal Regatta's timetables - know what to expect from your day on the Thames and understand the race schedules. 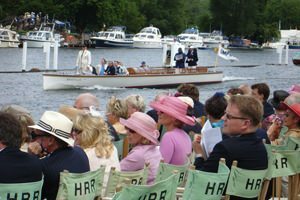 From the best local Henley hotels to transport to and from the town, we look at all aspects of your time at Henley Royal Regatta, to ensure you a fantastic stay! The Henley Royal Regatta 2018 once again lived up to its reputation as the premier social event of the British summer. Eventmasters were delighted to provide some of the finest hospitality from within the splendid Boaters Enclosure, which enjoyed was enjoying only its second year at the venue. The luxurious marquee facility situated on the banks of the Thames provided guests with excellent views of the racing, with the start line just metres away and the iconic Temple Island directly opposite; this was the perfect location to experience all the delights of the Henley Regatta. The world’s oldest rowing regatta has been held since 1839 and once again the five-days of action featured over 200 races of international standard. On arrival, guests were treated to a delicious brunch canapé selection and champagne reception which included – Blanketed Toulouse Sausage, Croque Monsieur, Welsh Rarebit Barquette and White Truffle & Wild Mushroom Omelette. All expertly prepared by our Savoy-trained chef Dave Goodwin. The fabulous hospitality continued with our afternoon tea party and Gin cocktails prepared by our trained Mixologist, which proved to be a real hit with all who sampled the wide-range of drinks available. Throughout the day our VIP guests were treated to some relaxing music from our professional Cellist Llinos Richards (who had performed on Glastonbury’s Pyramid Stage the week before with the Electric Light Orchestra). If you’d like to see what drinks are going to be at the Boater Enclosure, read our Henley Regatta cocktails list. We look forward to the Henley Royal Regatta 2019 and hope to see you there at one of the best events of the British summer. Our Boaters Enclosure Henley Regatta hospitality packages 2019 are now available to buy online – secure your Henley Regatta Tickets now.